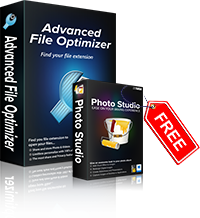 Advanced File Optimizer: Helps you open all types of files that includes audio & video file, graphic file, document file etc.. Your satisfaction is most important for us. If you are not completely satisfied with this product, simply contact us within 60 days of purchase and we will refund your purchase. This offer is valid if you buy Advanced File Optimizer before Thursday, April 25, 2019 - so don't miss out on this incredible opportunity. It is designed with the most comprehensive set of utilities helping user in getting rid of all kinds of file extension problems. Over 10 million people have already chosen Advanced File Optimizer! © 2018 Systweak Software. All rights reserved. Why do I need Special Disk Cleaning Tools? This easy to use but efficient disk tool defragments and optimizes hard disk drives for faster performance. Besides increasing the speed, it fixes hard disk errors, checks hard disk health and makes your disk drive last longer.This is a one year license and will be billed annually. Remember - 1 in 3 PC users have very slow application load time and slow PC performance! Fix all these issues with Disk Special Cleaning Tool. Why do I need Advanced File Optimizer? Advanced File Optimizer helps you open all types of files that includes audio & video file, graphic file, document file, compressed file, file downloaded from internet and many more. It sets default programs and frees you from the trouble of dealing with unknown file and confusing file extensions. This is a one year license and will be billed annually. Remember - 2 minutes of your time could save you months of frustration by setting default programs to open unknown files with Advanced File Optimizer!